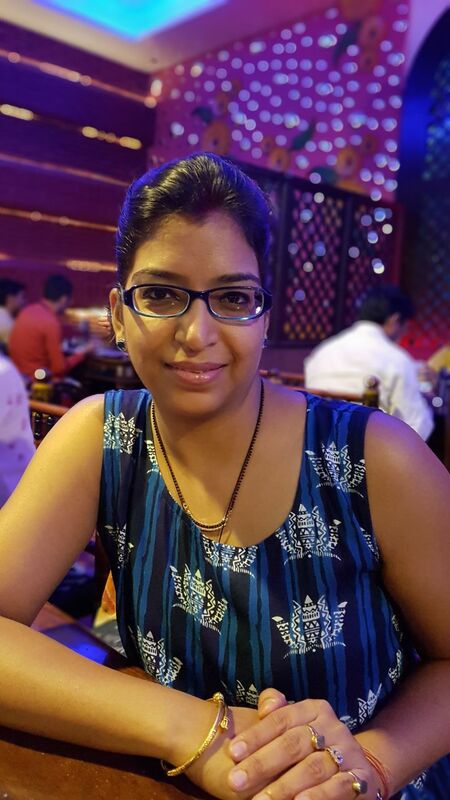 In summers you tend to wear sleeveless clothes and you have to get waxing done on regular basis. Well, your arms and your legs shine after a good waxing session but due to some skin conditions your underarms skin turns darker than your normal skin color. The main cause of dark underarms is the accumulation of dead skin cells over there, regular use of shaving creams and alcohol based deodorants or due to some hormonal disorders. But with the use of useful home remedies, your armpits can turn back to their normal color and be flawless as ever. Lemon is a well known bleaching agent that is used to bleach any part of your body naturally. 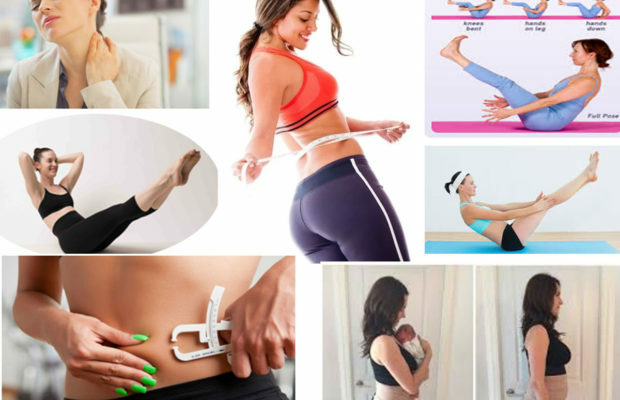 They also help in getting rid of underarm sweating and removes the odor that emanates from your underarms after sweating. All you need is a slice of lemon and rub it on your underarms. Now leave it for 10 minutes and then wash thoroughly with normal water. 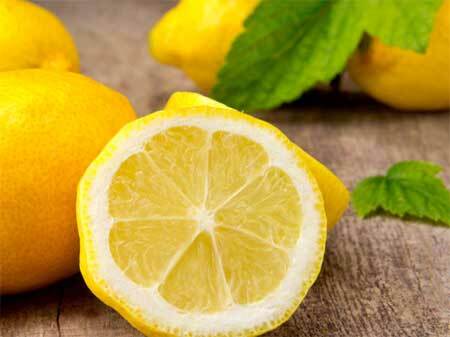 Apply a toner or a moisturizer on your underarm skin after this as lemon tend to dry out the skin. Almond oil contains phytochemicals and vitamin E that lightens and brightens the skin. 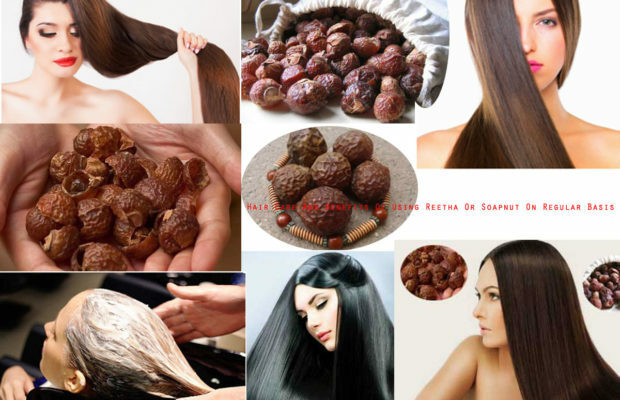 It also has natural bleaching agents that keeps the skin color light and rejuvenates it as well. Take few drops of almond oil and massage it on the underarm area for 10 minutes. Wash off the next morning while taking bath. Aloe vera gel helps in soothing the skin and also is a natural sunscreen. It also helps in lightening the dark skin and brings the fairness of the skin back. Just take some fresh aloe vera stock and then extract the gel in a bowl. Now apply this gel on your underarm area and let it dry for 10-15 minutes. Rinse with water and repeat this process on every alternate day. 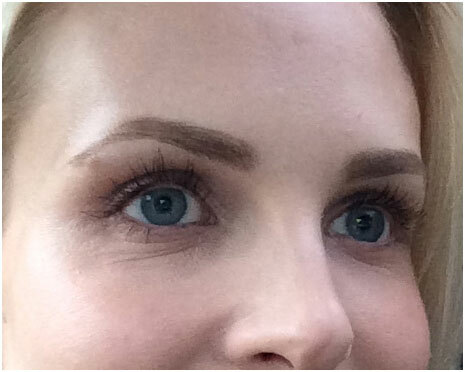 Potatoes are the bleaching agents that keeps the skin fresh and lightens it as well. 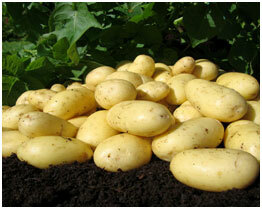 Potato is very moisturizing and it does not irritate the skin at all. Cut a thin slice of raw potato and rub it on your skin for few minutes or take out the juice of this slice by blending it in a blender. 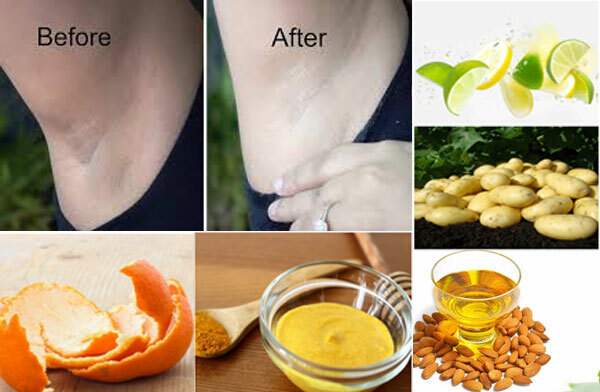 Apply this juice on your underarms and you will see the change in the skin tone of your underarms within few days. Baking soda is very useful when it comes to lightening your underarms as it bleaches the skin and make it appear brighter than before. Take 1 tbs of baking soda and mix it with some lemon juice. Now scrub this mixture gently on your underarms for few minutes. This acts as a natural exfoliator and takes off the dead skin cells. Wash off with lukewarm water and moisturize your skin well. Repeat this method 3-4 times in a week. Multani mitti helps in lightening the underarms and exfoliates the ark armpits as well. Take 2 tbsp of multani mitti and add 1 tsp lemon juice in it. Mix them well and then apply this paste on your underarms. Let it dry and then wash off after 10-15 minutes. Apply it twice in a week to get light underarms. 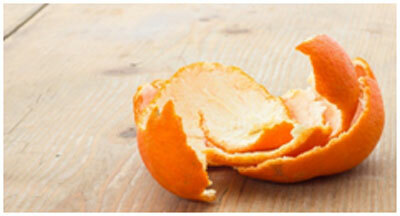 Orange peel contains bleaching agents that keeps the skin fresh and bright. Take the orange peel and dry it under the sun for few days. When they are completely dried then turn them into a powder form and store in a glass jar. Take 2 tsp of orange peel powder and mix it with some rose water. Apply it on your underarms and wash off after 10 minutes with normal water. Repeat this process every alternate day to take care of your dark underarms. This is one of the wonder oils that is used to cure many beauty imperfections. Coconut oil has skin whitening properties and it turns black underarms into fair tone by its slow whitening process. Massage some coconut oil on your underarms skin and do this for 10-15 minutes. Wash off with lukewarm water when you take bath. This will give you bright and odorless underarms. Castor oil is sticky in texture so when applied on any part of your skin it absorbs all the impurities and dirt from your skin. 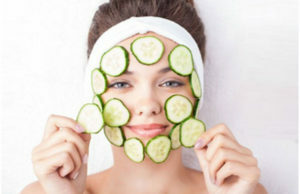 It also helps in cleaning up the pores and removes excess oil and dead cells from the skin. Apply a thin layer of this oil on your underarms and wash off with normal water after 15 minutes. 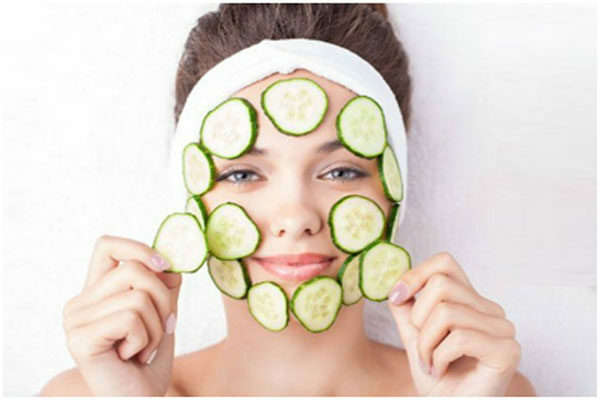 This will take off the dead skin and keep your skin bright and healthy. 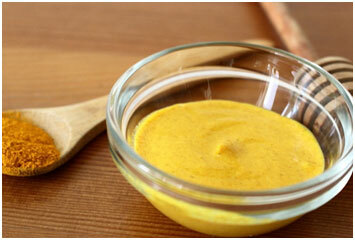 Turmeric has bleaching properties that helps in brightening the skin and gives it a glow as well. Milk has lactic acid that keeps the skin away from dirt and grease and cleans it up completely. Take 1 tsp turmeric powder, 1 tbs milk and 1 tsp honey. Mix these ingredients together and then apply this paste on your underarms. Let it dry for 10-12 minutes and then rinse off with normal water. Repeat this twice in a week to get bright underarms.